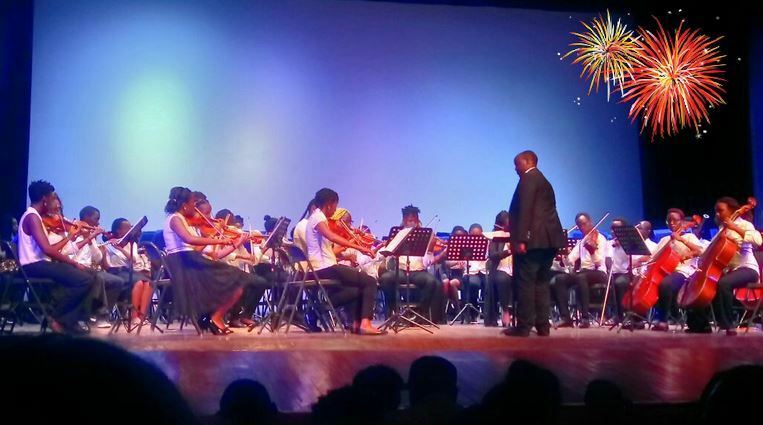 January ended on a good note for most Classical fans, as the Kenya National Youth Orchestra gave an afternoon dose of delightful music at the Kenya National Theatre. 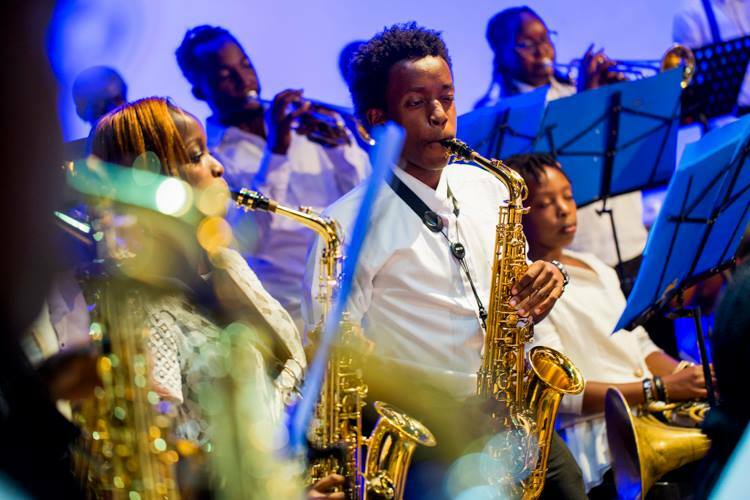 The concert was a culmination of the 15th residential training that took place in December 2016 at St. Andrews Turi. 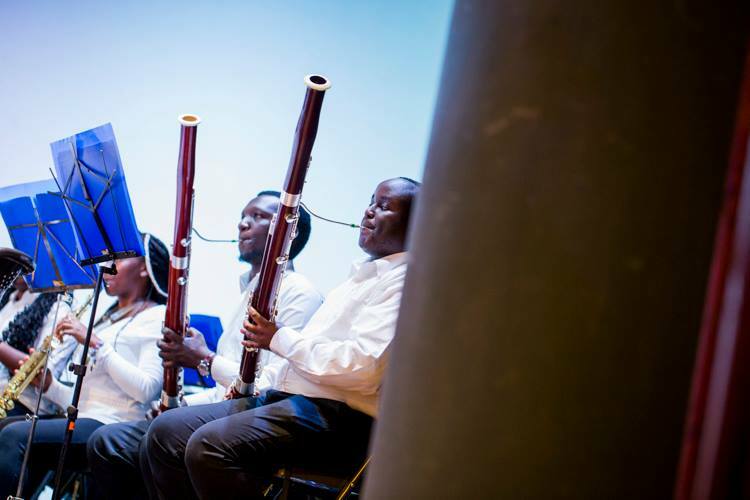 The Kenya National Theatre hall, was packed to capacity with eager fans awaiting to hear some of the best selected pieces to be showcased by the KNYO ensemble. 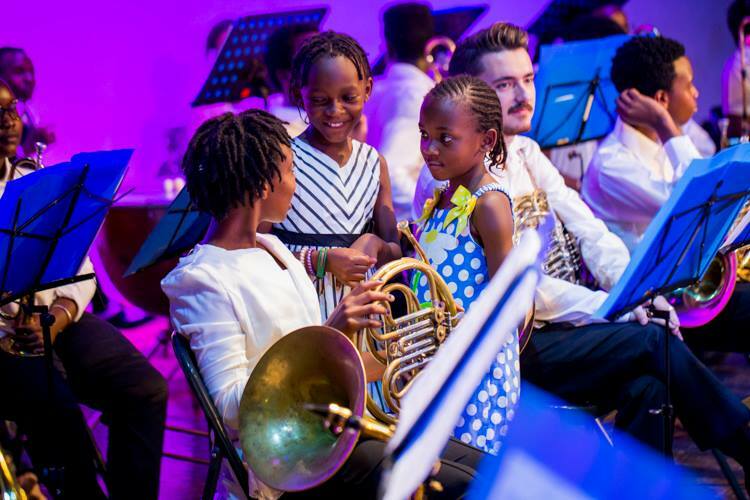 In the midst of the audience, were special guests from the Embassy of Finland in Kenya; Her Excellency, Finnish Ambassador to Kenya, Fernandez Tarja was accompanied by members of staff from the Embassy of Finland in Nairobi, Art of music Director Elizabeth Njoroge, Safaricom Youth Orchestra music director, who was also the MC of the day, Mr. Duncan Wambugu and Cultural Director Mr. Ole Moipei. The KNYO, took the audience by surprise by involving the audience in a mannequin challenge. 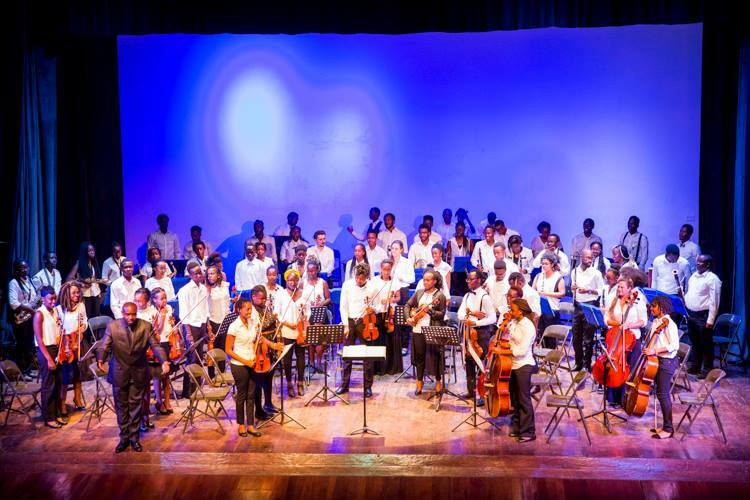 They then proceeded to serving us delectable sounds from their musical menu, The Thieving Magpie Overture by Rossini which was conducted by KNYO musical director, Mr. Levi Wataka. 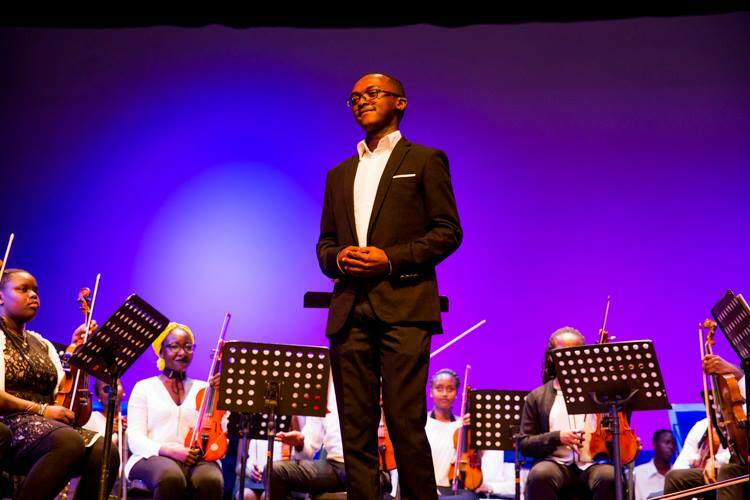 Phillip Maina – Stravinsky: Firebird Suite. 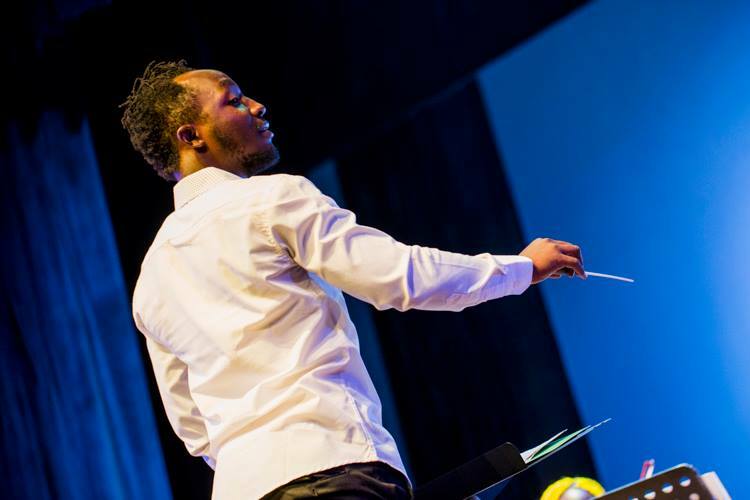 Brian O Kepher – Antonio Dvorak ‘New World Symphony’ 2nd movement. Jason Rae – Sweet Georgia (Big jazz band) & Military Symphony by Gossec. Maiko Samson – Excerpts of Beethoven 9th Symphony. The concert showcased compositions by Finnish composer Jean Sibelius, in honor of the 100th year anniversary of Finnish independence! Special pieces that were performed were: Valse Triste, which is a musical composition that spoke about death. It is popularly known as a sad Waltz. 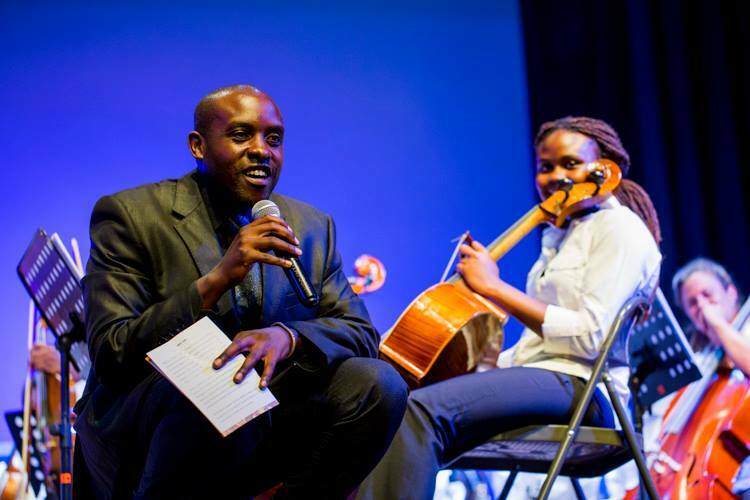 The sad emotional piece was shepherded by yet another young talent; Ken Mwiti. 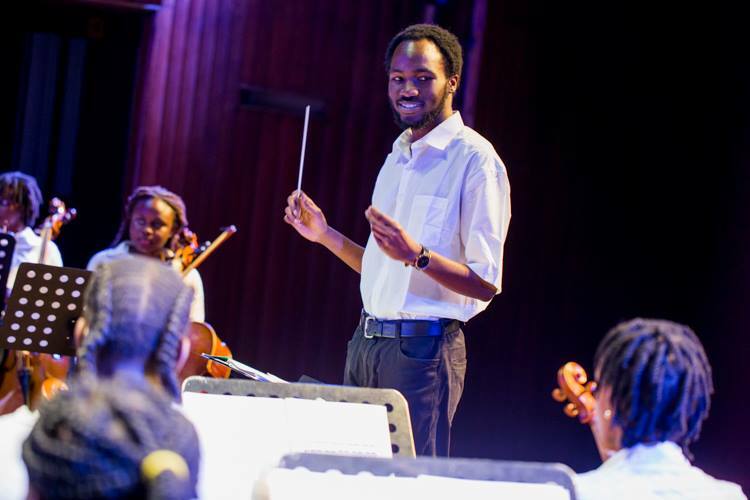 Peter Nyabuto, conducted yet another challenging piece by Sibelius – Karelia Suite, it is a piece that Sibelius depicts an image of Finland as well instilling an aspect of national pride. 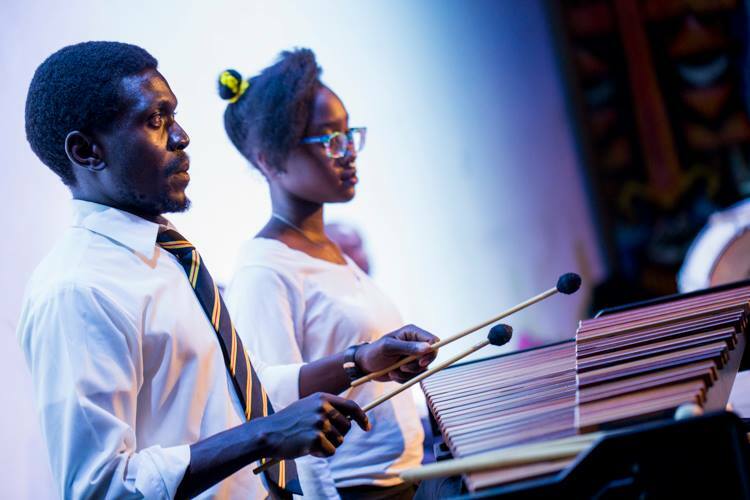 You could tell the music was complicated and hard to tackle, however the KNYO members were able to bring out the melodies and rich colors so wonderfully that we all got absorbed in the music. 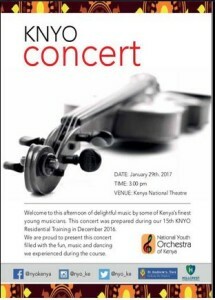 The KNYO not only gave a chance to the rise of young conductors, but also gave chance to a talented Musical Arranger Benjamin Wamocho, whose arrangement of Nyathi Onyuol, a Luo spiritual piece originally written by Enrico Oweggi, was performed by the KNYO. 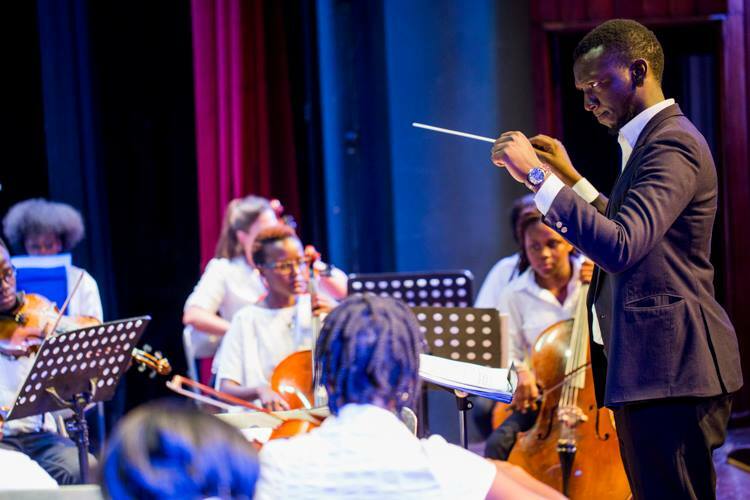 The KNYO music director, Mr. Levi Wataka, wowed the audience by inviting children aged below 10 years to have a look and feel of how it is to be on stage together with the orchestra members as well as, assisting them on the choral interludes of Nyathi Onyuol’s piece. It was a colorful event that was filled with fun filled moments. The audience also got an encore piece to mark the end of such an eventful concert. Till the next event. 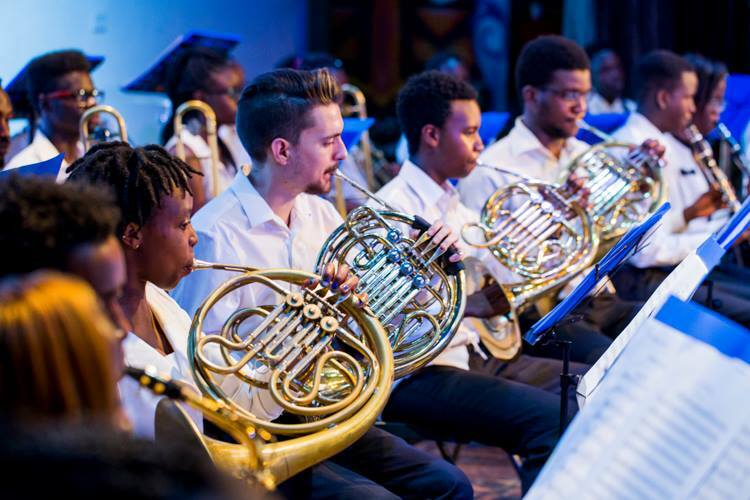 Look at that, the French Horns Fam!